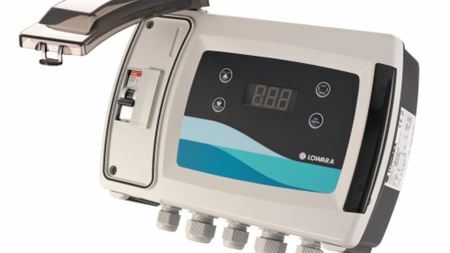 Xylem’s Lowara Q-SMART is a fixed speed electronic control panel for pressure boosting and sewage systems. The new website for Vesconite contains product information for technicians, as well as case studies where these products have been installed. Franklin Electric Co. launched FE Select, a digital pump selector software tool. Hyundai Heavy Industries (HHI) and Saudi Aramco are to set up a joint venture in Saudi Arabia to produce engines and marine pumps. WEG has introduced the SSW900 series of soft starters which are designed for industrial and commercial applications. Spirax-Sarco Engineering plc has completed the acquisition of US thermal technologies company Chromalox Inc.
Quattroflow’s chamber replacing system aims to replace single-use pump chamber in less than 30 seconds.